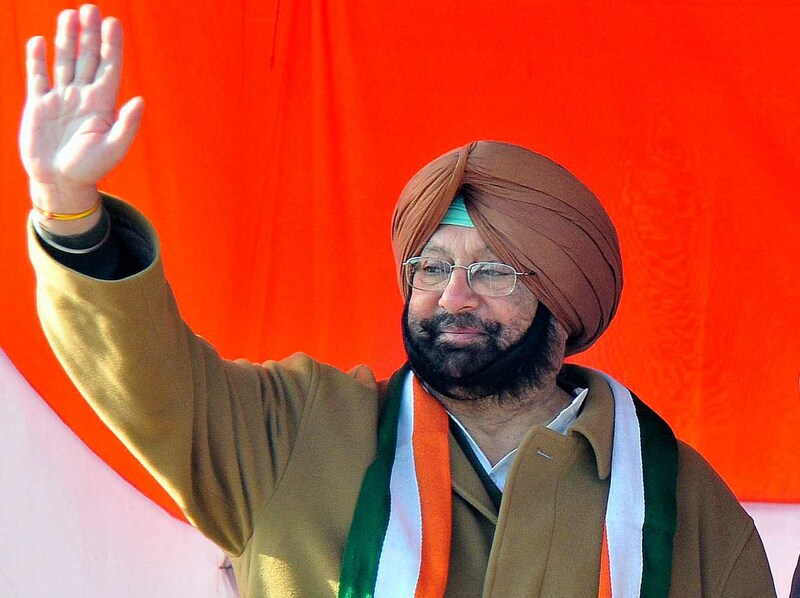 CHANDIGARH, November 29: Punjab Congress President Capt Amarinder Singh today snubbed the Deputy Chief Minister Sukhbir Singh Badal and rejected his demand for action against Congress leaders attending Sarbat Khalsa. “You better mind your own business than meddle in our party affairs”, he told Sukhbir telling him not to try to preach peace and nationalism to the Congress party, which unlike the Badals, has a record of sacrifices to fight terrorism. “It is like devil quoting scriptures”, he remarked, while referring to Sukhbir and the Chief Minister Parkash Singh Badal’s “neurotic breast beating” about the Congress leaders having attended the Sarbat Khalsa, which he said, was totally a show of anger and outrage against Badals’ failures particularly the desecration of the Holy Guru Granth Sahab for which everybody rightly holds them (the Badals’) responsible. The PCC President asked Sukhbir and his father that before raising an accusing finger on the Congress leaders, who attended the Sarbat Khalsa purely as true Sikhs, they should better take action against Virsa Singh Valtoha who said in the Punjab assembly that he “was a terrorist, is a terrorist and will always be a terrorist”, who took pride in killing Hindus. “Let me remind you that this is same Valtoha who used to brag around the town during militancy days that he killed so many Hindus”, he told the Badals. “Before resorting to such neurotic breast beating about threat to peace in Punjab and trying to blame Congress for it, why don’t you ask your father Parkash Singh Badal as what made him to pronounce Beant Singh assassin Balwant Singh Rajoana as Zinda Shaheed and bring back another life convict Devinderpal Singh Bhullar to Amritsar and treat him as a state guest”, Capt Amarinder asked Sukhbir. Ridiculing Sukhbir’s day dreaming of ruling for next 15 years, the PCC president asked him, “forget about next 15 years, better start worrying as what will happen after 15 months from now when you will be running for cover and you will no longer have hundreds of security personnel to protect you”. Asserting that the Sarbat Khalsa was a religious congregation, he said, Sukhbir by trying to accuse all those who attended it as “Khalistanis” was hurting the religious sentiments of people and trying to project an entire community as antinational.